Now that you have this background, let's look at more IPCC problems. 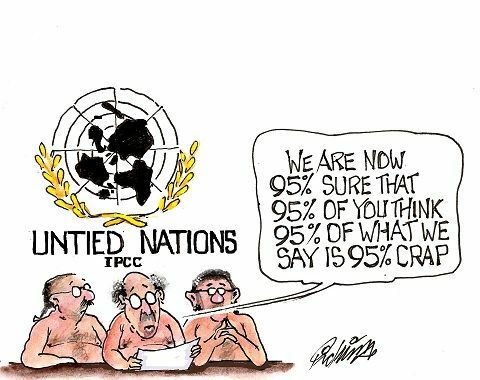 The IPCC’s underestimation presents an absolute nightmare for anyone trying to do long-term planning, whether it be personal, business, local, regional, or national. When we take into account the IPCC underestimations and come up with new temperature and timetable predictions, it appears any mid-term to long-term future planning based on the IPCC's predictions will put us in a world of hurt. When we reach 5 to 6° Celsius (9-10.8° Fahrenheit) it will be the end of the world as we know it and, as you can see from the above data, it is not far off in the future. When you factor in crossing more global warming tipping points (which is highly probable and which was completely absent from the IPCC predictions, our world is in serious peril, not 40 or 80 years from now, but right now and over the next 20-40 years. It is illogical beyond all comprehension to assign full responsibility for evaluating and predicting the single greatest security threat of the 21st-century to a group of volunteer and underfunded climate scientists with the best of intentions who submit their research to an bureaucratic and underfunded United Nations agency. But who should be doing this work? major miscalculations from the world’s leading global warming authorities by about 20-40% or more concerning how fast and severe the consequences of global warming will be. we are now trapped by the reality of the minimum time needed to convert all global fossil fuel energy generation systems into green energy generation systems (currently about 35-50 years, but probably much more). This means carbon in the atmosphere will reach 500 ppm where all ice and glaciers on the planet will begin and continue melting. From the research and editorial team at Job One for Humanity.